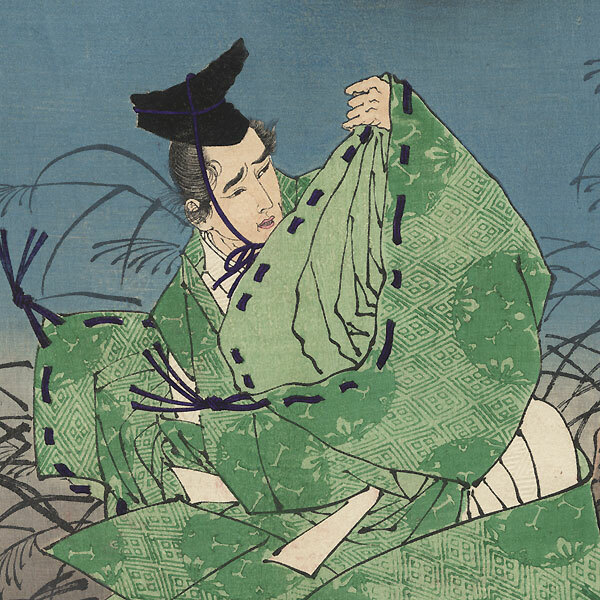 Kitayama Moon - A fantastic Yoshitoshi design and a series masterwork, this incredible image depicting Toyohara Sumiaki, a musician in the court of Emperor Go-Kashiwabara. 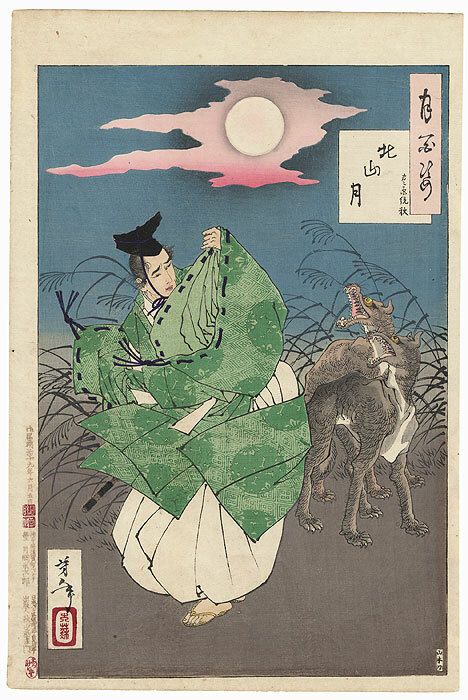 He is walking alone over the moors of North Kyoto and is approached by snarling wolves. Cornered, he begins to play a beautiful melody on his wooden flute, causing the wolves to hesitate and then to recede into the woods, pacified by the magic of the song. A wonderful Yoshitoshi design and captivating woodblock print. 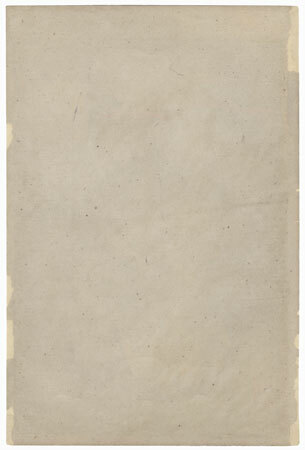 Originals of this beautiful image are highly sought after in the collecting world. Our print with excellent original color, no fading, fine detail and in very good condition. A great choice for the discerning collector. If you've always wanted to own one of the 100 Moon masterworks, bid now. Condition - This print with excellent color and detail. Backed with paper. Some light soiling. Please see photos for details. Very nice overall.